November 17, 2011 - Adam Levitt from Illinois, a frequent flyer of Southwest Airlines filed a class action lawsuit (Adam J. Levitt V. Southwest Airlines Case: 1:11-cv-08176 U.S. District Court, Northern District of Illinois) on Wednesday against the carrier for failing to honor his free alcoholic drink coupons which was an incentive for purchasing a premium-priced "Business Select" ticket. The tickets Levitt purchased offered a free alcoholic drink coupon per ticket which did not have an expiration date printed on the coupon and had a value of up to five dollars each. However, on August 1, 2010, Southwest Airlines revised its alcoholic drink coupon policy to state that passengers could only use the coupon on the date printed on the coupon. Levitt had 45 unused coupons and feels that he an hundreds of thousands of passengers who did not use their couples should be allowed to use them or be reimbursed five dollars as it was included in the price of the Business Select ticket and failing to do so is a breach of contract. The drink coupon has no cash value and the drink coupon was void if altered, sold, purchased, brokered, or bartered and you could not use the coupon exchange for other goods and services. The ticket stated that Southwest Airlines reserves the right to refuse service and or discontinue the drink coupon program at any time and you must be 21 years of age or older to consume alcoholic beverages. Levitt believes that while Southwest may have reserved the right to discontinue issuing new drink coupons at any time, no provision of the terms of its drink coupon program allows Southwest to revoke a drink coupon after its issuance and delivery to Levitt and to other Business Select ticket holders. As Southwest?s CEO explained ?For years, Southwest Airlines has accepted all types of drink coupons on our planes regardless of their expiration dates; Rapid Rewards coupons, Business Select coupons, Old Company Club coupons, Coupons from the 80s, and from the 90s. ?And we?ve done so for all the right reasons. However, in an industry where the competition is always knocking (or banging) on the door and where watching the bottom-line is more important than ever, we owe it to our employees, customers, and shareholders to find ways to operate smarter. We?ve reached a point where being so flexible with drink coupons has put us in a position of having far too many in circulation. 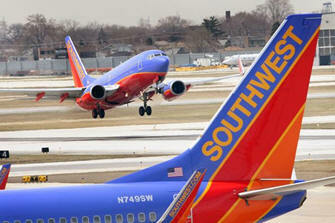 Southwest decided that it would make more money improve its ?bottom-line? by choosing not to honor the coupons that consumers had already paid and bargained for with their purchase of Business Select tickets. In so doing, Levitt feels Southwest Airlines breached those contracts by unilaterally deciding it would no longer honor them. Accordingly, Levitt brings this class action for breach of contract and for violation of the Illinois Consumer Fraud Act, 815 ILCS 505/2. Levitt feels he and all those ticket holders who have been affected by Southwest alcoholic drink coupons policy change are entitled to recover restitution, cash refunds of fees paid Southwest, disgorgement of revenues and profits obtained from Southwest practices, injunctive relief, declaratory relief, the cost of bringing this action including reasonable attorneys? fees and any other relief allowed by law and deemed just and equitable in the circumstances. Levitt had requested a trial by jury.